Why do people risk their lives for the perfect selfie? Earlier this month, an Indian man was killed while trying to take a selfie next to a wounded bear. It’s actually the third selfie-related death in India since December: On two separate occasions, elephants ended up taking the lives of people trying to snap images with the mammals. A news report about the bear attack. Animals don’t pose the only danger to selfie seekers. Heights have also resulted in fatalities. A Polish tourist in Seville, Spain fell off a bridge and died attempting to take a selfie. And a Cessna pilot lost control of his plane – killing himself and his passengers – while trying to take a selfie in 2014. The reason? Police estimated nearly 100 Russians had died or suffered injuries from attempting to take “daredevil” selfies, or photos of themselves in dangerous situations. Examples included a woman wounded by a gunshot (she survived), two men blown up holding grenades (they did not), and people taking pics on top of moving trains. People who frequently post selfies are often targets for accusations of narcissism and tastelessness. But what’s really going on here? What is it about the self-portrait that’s so resonant as a form of communication? And why, psychologically, might someone feel so compelled to snap the perfect selfie that they’d risk their life, or the lives of others? While there are no definitive answers, as a psychologist I find these questions – and this unique 21st-century phenomenon – worth exploring further. Robert Cornelius, an early American photographer, has been credited with taking the first selfie: in 1839, Cornelius, using one of the earliest cameras, set up his camera and ran into the shot. The broader availability of point-and-shoot cameras in the 20th century led to more self-portraits, with many using the (still) popular method of snapping a photograph in front of a mirror. Selfie technology took a giant leap forward with the invention of the camera phone. Then, of course, there was the introduction of the selfie stick. For a brief moment the stick was celebrated: Time named it one of the 25 best inventions of 2014. But critics quickly dubbed it the Naricisstick and the sticks are now banned in many museums and parks, including Walt Disney Resort. Despite the criticism directed at selfies, their popularity is only growing. Conclusive numbers seem lacking, with estimates of daily selfie posts ranging from one million to as high as 93 million on Android devices alone. 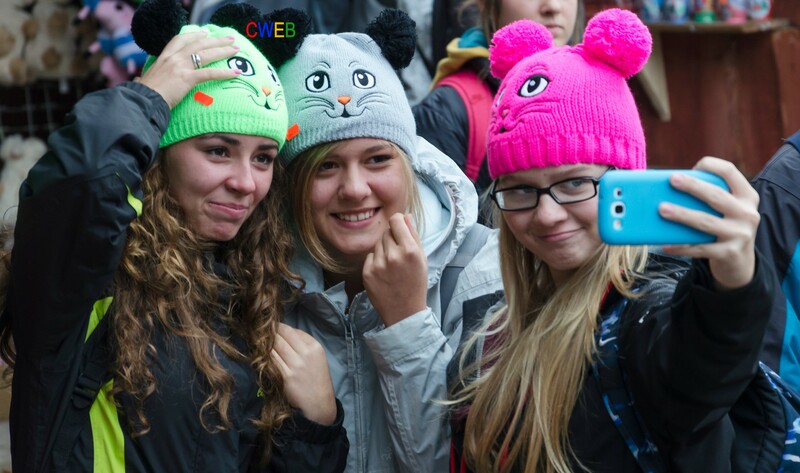 Whatever the true number, a Pew survey from 2014 suggests the selfie craze skews young. While 55 percent of millennials reported sharing a selfie on a social site, only 33 percent of the silent generation (those born between 1920 and 1945) even knew what a selfie was. A British report from 2016 also suggests younger women are more active participants in selfie-taking, spending up to five hours a week on self-portraits. The biggest reason for doing so? Looking good. But other reasons included making others jealous and making cheating partners regret their infidelities. Confidence booster or instrument of narcissism? Some do see selfies as a positive development. Some have argued that selfies can boost confidence by showing others how “awesome” you are, and can preserve important memories. Still, there are plenty of negative associations with taking selfies. While selfies are sometimes lauded as a means for empowerment, one European study found that time spent looking at social media selfies is associated with negative body image thoughts among young women. Apart from injuries, fatalities and tastelessness, one big issue with selfies appears to be their function as either a cause or consequence of narcissism. Narcissists tend to overrate their talents and respond with anger to criticism. They are also more likely to bully and less likely to help others. According to Gray, surveys of college students show the trait is far more prevalent today than even as recently as 30 years ago. Do selfies and narcissism correlate? Psychologist Gwendolyn Seidman suggests that there’s a link. She cites two studies that examined the prevalence of Facebook selfies in a sample of over 1,000 people. Bottom line: selfies and narcissism appear to be linked. Selfies seem to be this generation’s preferred mode of self-expression. Psychologists who study the self-concept have suggested that our self-image and how we project it is filtered through two criteria: believability (how credible are the claims I make about myself) and beneficiality (how attractive, talented and desirable are the claims I make about myself). In this sense, the selfie is the perfect medium: it’s an easy way to offer proof of an exciting life, extraordinary talent and ability, unique experiences, personal beauty and attractiveness. As a psychologist, I find it important not only to ask why people post selfies, but also to ask why anyone bothers looking at them. Evidence suggests that people simply like viewing faces. Selfies attract more attention and more comments than any other photos, and our friends and peers reinforce selfie-taking by doling out “likes” and other forms of approval on social media. One explanation for why people are so drawn to looking at selfies could be a psychological framework called social comparison theory. The theory’s originator, Leon Festinger, proposed that people have an innate drive to evaluate themselves in comparison with others. This is done to improve how we feel about ourselves (self-enhancement), evaluate ourselves (self-evaluation), prove we really are the way we think we are (self-verification) and become better than we are (self-improvement). It’s a list that suggests a range of motives that appear quite positive. But reality, unfortunately, is not so upbeat. Those most likely to post selfies appear to have lower self-esteem than those who don’t. In sum, selfies draw attention, which seems like a good thing. But so do car accidents. The approval that comes from “likes” and positive comments on social media is rewarding – particularly for the lonely, isolated or insecure. However, the evidence, on balance (combined with people and animals dying! ), suggests there is little to celebrate about the craze. This is an updated version of an article originally published on March 24, 2016.